What's a trip to Sydney without experiencing Harbour Bridge beyond admiring it from afar? 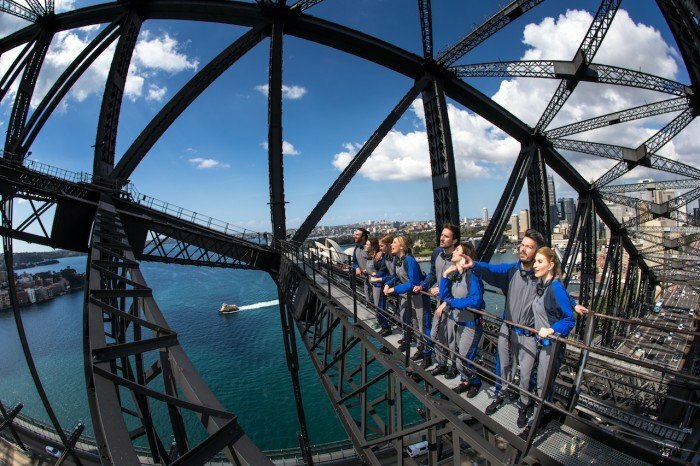 Here are 8 cool things you can actually DO on Sydney Harbour Bridge! The Sydney skyline is a sight so striking and magnificent that it will linger in travellers’ minds long after they leave the city. An essential feature of this picture-perfect panorama is the Sydney Harbour Bridge, also known as ‘The Coathanger’ due to its arched shape. No trip to Sydney is complete without experiencing the Sydney Harbour Bridge… and I’m not just talking about admiring it from afar. Here are 8 things you never knew – or might not know, depending on how familiar you are with the city – you could do on Sydney Harbour Bridge. Like I just mentioned, you can admire the view of Sydney Harbour Bridge like every other tourist… but why stop there? Get into the action – there is a pedestrian-only walkway on the east side of the bridge. For the best views of iconic structures like the Opera House, start on the side of North Sydney, from Milsons Point, and walk in the direction of The Rocks. Did you know that you can actually climb Sydney Harbour Bridge all the way to the peak? That is a whopping 134 metres above Sydney Harbour! Imagine the wind in your hair and the breathtaking views that this vantage point will bestow to you. Trust me, there is no better view of Sydney than the one from here. Have the Climb of Your Life, because this is a bucket-list activity and something you simply shouldn’t leave Sydney without doing. Does the thought of scaling the Harbour Bridge terrify you? Well, that’s another thing you can work on! There is no better place to overcome your fear of heights than on Sydney Harbour Bridge! I mean, thousands of people have done it, and it’s a tested-and-true formula. 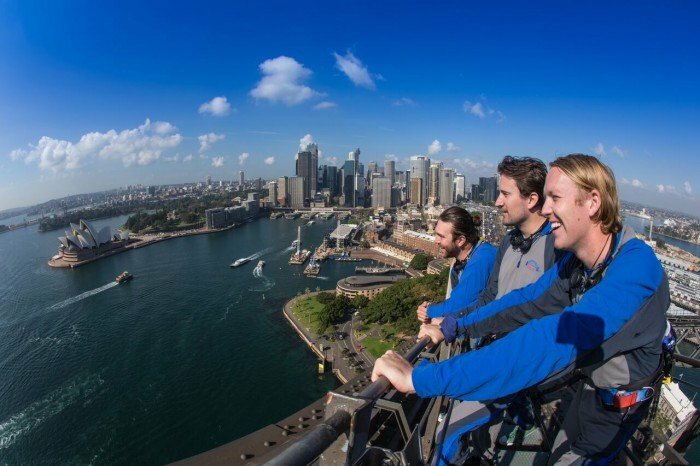 The experienced climb leaders from BridgeClimb Sydney are trained to help those of you who get jelly legs and sweaty palms from heights. When you’re at the top of that giant steel structure, when you’ve achieved victory and squashed your fears, that feeling you get… it is simply indescribable. Alternatively, you can skip the summit climb and finish at a vantage point halfway from the summit with the BridgeClimb Sampler. This climb allows you to have a taste of this exhilarating activity, and though you won’t reach the top, you’ll enjoy spectacular views nonetheless. Wouldn’t it be awesome to follow in the footsteps of Oprah Winfrey, Matt Damon, Nicole Kidman, Justin Timberlake or Katy Perry? Well… you actually can! 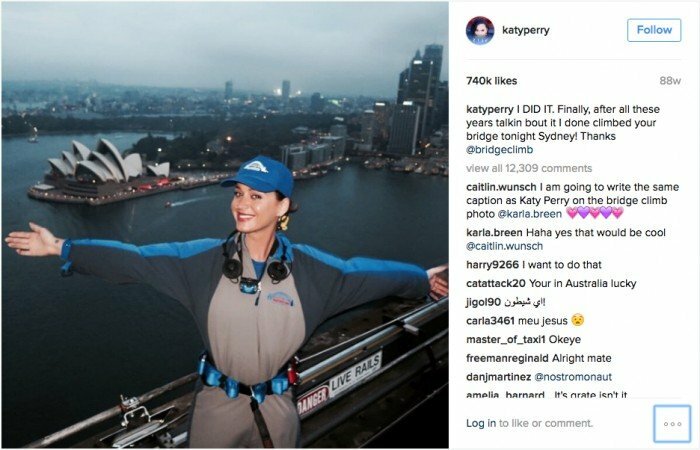 If you climb Sydney Harbour Bridge, you’d actually have a shared experience with these famous people. How cool is this? While the summit of Sydney Harbour Bridge undoubtedly offers the BEST views of the Sydney skyline, it’s also possible to enjoy panoramic views from the top of the Pylon. Besides that, visitors will get a dose of the rich history behind the Harbour Bridge on their journey to the open-air lookout by walking through educational exhibits along the way. If you think that the Sydney skyline is awe-inspiring in the day, wait till you see it from Harbour Bridge at dawn or twilight. While you can enjoy the sunrise views from the footway, there really is no better way to start the day than from high above, watching the sun rise over the horizon, embracing the city with its golden glow. But if you’re not a morning person, fret not. Equally as magical is the view during twilight, that time of the day when dark blue creeps over the fiery orange sky, blanketing it in a slow, sweeping motion. Sydney BridgeClimb offers climbs at different times of the day, including dawn and twilight. 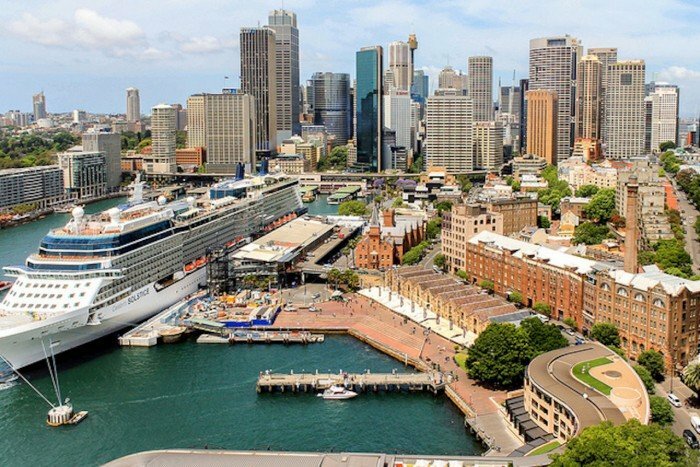 Pick your climb and embrace the ever-changing views of Sydney horizon! 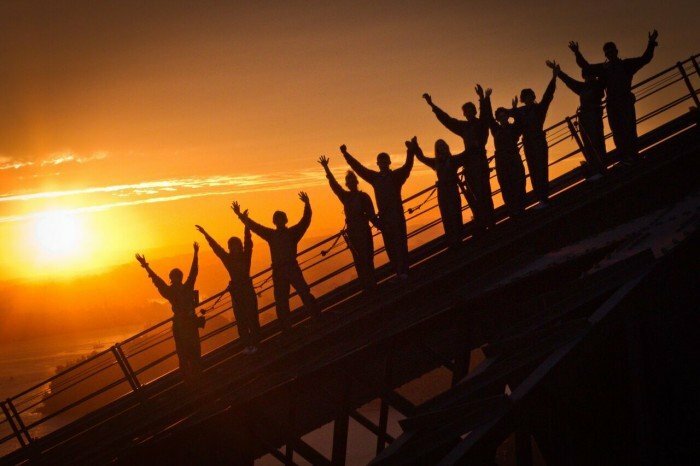 Furthermore, if you are a couple looking for a romantic evening together, you can embark on a Twilight Climb together, before enjoying a Sunset Session on top of the bridge! Over 8 weekends in July and August starting from July 7th, local bands will be performing at the summit of the bridge during sunset. Nothing can be more romantic than watching the orange glow of the sunset as day transitions into night while being serenaded with melodious tunes. You don’t even have to pay extra, as this unique experience is included free of charge for Twilight Climbers on Saturdays and Sundays. If you’re coming to Sydney during special events, take your festivities to a new level – quite literally – by celebrating ON the Sydney Harbour Bridge. I’m talking about THEMED CLIMBS! During Mardi Gras, paint your face, whip out that hairspray, and rock your hips to retro beats as you groove to the summit. Equally exciting themed climbs are held during special times of the year like Vivid Sydney, Australia Day and Ferrython. Celebrate your very own special day on Sydney Harbour Bridge! Woah! Talk about a unique location for a special occasion! 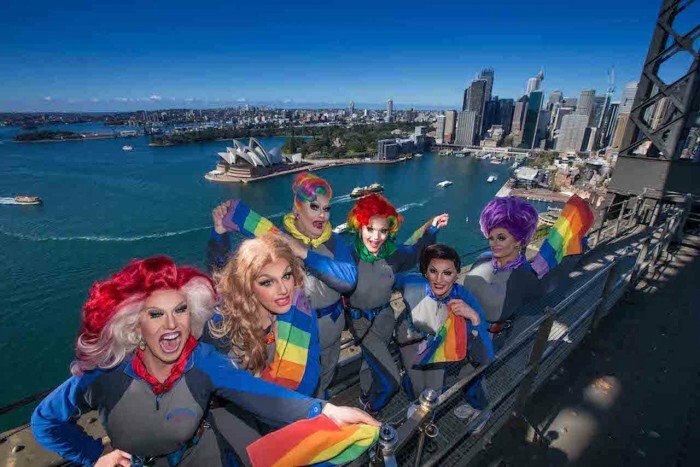 Children from ages 8 and up are welcome to celebrate their birthdays at the top of Harbour Bridge with BridgeClimb’s birthday packages, while couples looking for a venue like no other can tie the knot with a BridgeClimb Wedding. We are not even kidding! Great adventures and new experiences await in Sydney. Make the best of your trip! 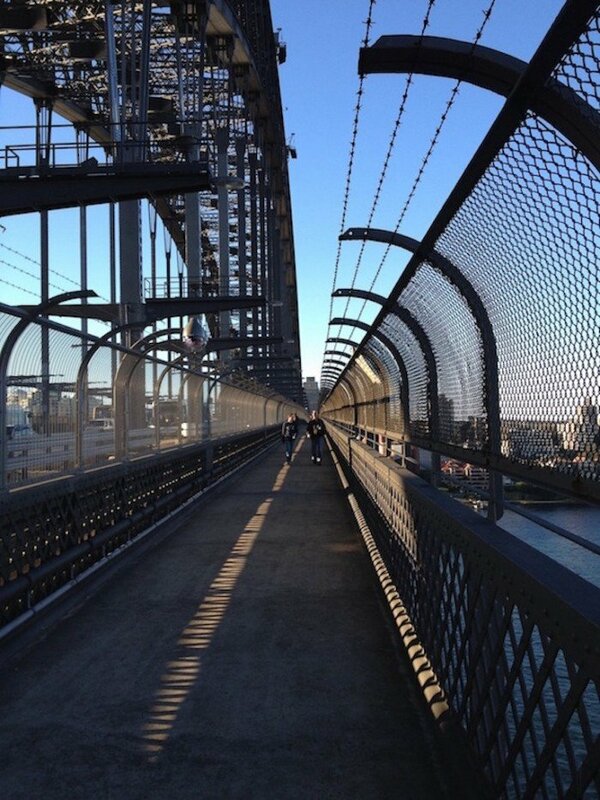 Brought to you by Bridgeclimb Sydney.